"These light and fluffy scrambled eggs are a snap to put together for a big crowd. I usually make 2 pans for our Christmas Brunch, and I never have much left over!" 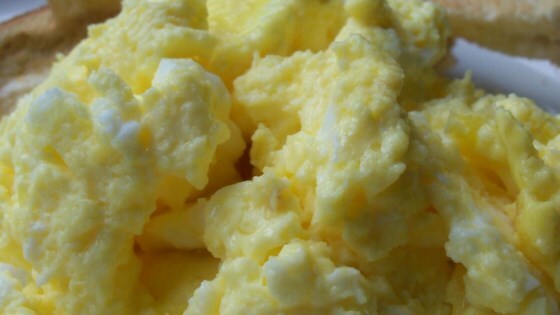 Discover the secret to making light, fluffy scrambled eggs for a crowd.